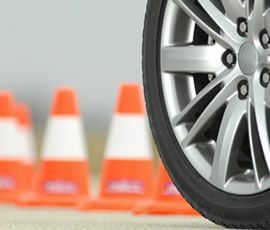 Stress free, no hassle drive tests! We’ve successfully taught thousands of teens safe and defensive driving in our innovative classrooms and rigorous Behind-the Wheel training. All our programs meet Colorado’s requirements for driver education. We know adults and seniors have different driver education needs. From a quick assessment of your current driving ability to brushing up your technique and sharpening your skills on the road, we can tailor a program just for you. We’re the stress-free alternative to testing at the DMV. As a state certified, third-party tester, we can administer both the written permit and driver’s license tests quickly and efficiently. No headaches. No hassles. Concerned about someone’s driving habits or ability to drive? Our driver assessments are perfect for employers who want to make sure their employees are driving company vehicles safely as well as families who are concerned about a loved one’s driving ability. Concerned about passing the Colorado Written Permit Test? Our practice permit tests are always based on the most recent Colorado Driver Handbook so you can feel confident preparing for the exam. Study in the comfort of your home and feel confident when you take your permit test. Denver is home to numerous driving schools. You can learn or improve your driving or meet the minimum state requirements for your drivers license by registering at a driving school in Denver. For quick and professional learning, Learn to Drive Colorado is your best option. We are a premier Denver Driving School that has been serving Denver’s front range and mountain communities for close to ten years. We offer different licensing programs and educational packages for the safety, knowledge and growth of our customers. We teach driving in a thorough, professional and effective manner. From the basics of driving to advance training, we teach our students all aspects of what makes for a safe, defensive driver in Colorado. We are dedicated and committed to providing exceptional services to our clients with our professional approach. Our staff at Learn to Drive is highly-qualified and well-experienced. They are professionally trained to teach our students in the most effective manner and ensure success when trying to obtain a license for the first time. 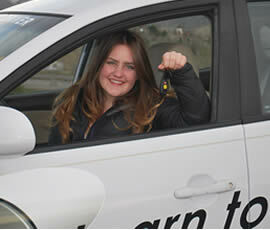 At Learn to Drive Colorado, the convenience and comfort of our customers is of utmost importance to us. Thus, we offer flexible and convenient scheduling options seven days a week with our professional, certified, and expert driving instructors. Often, we can accommodate our customer’s schedule and what works best for them. To obtain a driver’s license, the basic requirement for the candidate is to prove your identity. For this, you’ll need to show your U.S. passport or ID Card. Their certificate of citizenship or birth certificate will be required to validate your name, date of birth and age. You’ll also be required to present your CO ID card or valid green card, (1-551) or other federal documents, to prove your lawful presence in the US. Additionally, you’ll need to prove your Colorado residency. Acceptable documents include: proof of insurance, utility bills, bank statements, school transcripts, pay stubs, etc. Important: Make sure all the documents you’re presenting have your full name written with complete accurate spelling. There should be no discrepancy between them. You’ll also be required to know your social security number when applying for your drivers license. In the case where you don’t have one, you’ll need a letter from the Social Security Administration to present to the DMV. In this letter, it must clearly state that you don’t have a social security number. You’ll also be required to pass a quick vision exam at the DMV. Passing this exam is a must for getting a Denver driving license. Candidates are also required to pass a written permit test. Once you’ve passed this exam, you’ll be issued a learner’s permit. The last hurdle before you can get your drivers license issued is to pass a drive test. Learn to Drive, a premium Driving School in Denver, is a state certified, 3rd party testing facility. If you don’t want to wait for three to eight weeks to get your drivers test completed at the DMV, we offer drivers license exams quickly, efficiently and without the headache and long wait time. We can usually get you scheduled the same day or next day after inquiring. Usually, you’ll be required to pay a fee of $27 to the DMV to issue your license. Important: The requirements and fees may vary with the type of drivers license you have applied for. Are you looking for a driving school in Colorado? There are numerous Denver driving schools who are teaching driving skills to those trying to obtain a license or others trying to hone their skills. Helping them to get the level of experience they require our specialty at Learn to Drive Colorado. When selecting a driving school in Colorado, make sure they are certified and professional. If you are registering with an unprofessional Colorado driving school, there is a high chance that your time, effort, and money are at risk of being wasted. You will not have to face these issues if you are relying on a premium driving school in Colorado. 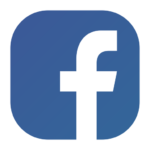 Learn To Drive Colorado is known as a reputable Colorado driving school specializing in assisting people to learn or improve driving skills. We offer an array of programs for residents of Colorado of all ages. Furthermore, we also offer testing services and conduct driver assessments so that you can feel confident when being tested by the state. We have hired professionally trained, experienced, and experts in this field, who are at the forefront of providing exemplary training to those who register with us. 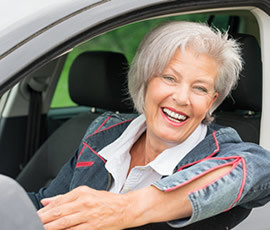 We use our expertise and experience to ensure the maximum satisfaction of those who require assistance, so that they can obtain their driving license without any difficulty. At Learn to Drive Colorado, we believe in going above and beyond the set standards and offer our clients the maximum value for their money. The specific facets mentioned above have made us a renowned driving school in Colorado. To obtain a driving license in Colorado, every individual must abide by the requirements set forth by the Colorado Division of Motor Vehicles. These requirements vary with the type of license. For example, the requirements for obtaining a teen’s license are different than those of adult license or for people who are of international origins and are new to this state trying to obtain a license. To acquire a license, an individual has to prove their identity and lawful residency in Colorado, and for this they will be required to show certain documents. Furthermore, all potential drivers will be required to clear three exams: a vision test, written driving exam, and a state approved driving test. It is mandatory for every individual to pass these tests in order to obtain their Colorado issued drivers license. Certified & Licensed: The institute must be certified and licensed by the Colorado Division of Motor Vehicles in order to teach the rules of the road to potential candidates of a drivers license, those who are trying to re-obtain their license, or individuals of international origin. Reviews: Check the reviews before registering yourself. Learn To Drive Colorado prides itself in being one of the highest reviewed driving schools in Colorado! Experience: The Colorado driving school you select must have a proven track record of teaching candidates the effective techniques and practices necessary to successfully pass all the state issued tests and assessments. Professional Trainers: Lastly, professional and experienced trainers of Learn To Drive Colorado ensure that you are receiving the training necessary to obtain your Colorado license. A well rounded and versatile driving instructor has the insight proven to help those seeking a Colorado license, which they implement in order to help help everyone pass the driver exams. 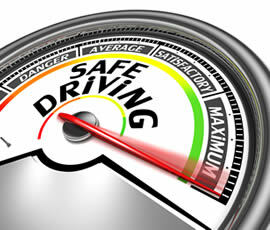 Learn to Drive boasts of all the factors discussed above. 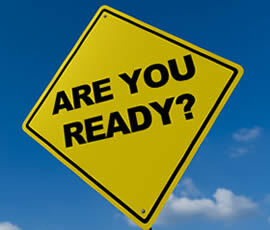 You can register yourself with confidence and clear your driving tests in a professional way. For more guidance or assistance in clearing tests, contact Learn to Drive – a premium Colorado driving school at 303-404-3880 or 303-232- 5600.